WE WILL WAIVE YOUR INSURANCE DEDUCTIBLE We are one of the leading auto repair shops serving customers in Sacramento, CA. 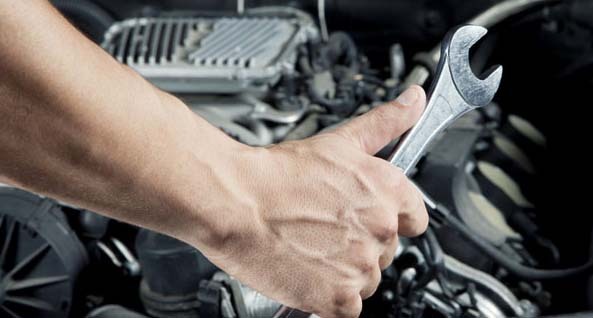 All mehanic services are performed by highly qualified mechanics. DNJ Auto Body Shop technicians will prepare detailed estimate of what they do to restore your car to pre-accident condition. 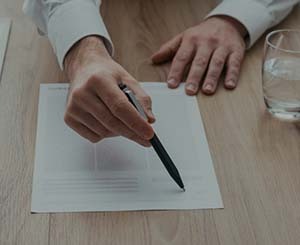 WE WILL WAIVE YOUR INSURANCE DEDUCTIBLE up to $1,500.00 and for those who don’t have insurance, we’ll give you up to 60% off discount on our services. Lifetime Warranty on job performed on your vehicle. FREE Towing Services for our collision repair customers. Very quick, super helpful with my deductible, was able to get me in right away when others were not. They were very thorough with the damage and repairs and didn't miss a thing. Car looked better than when I drove it off the car lot when I first bought it. All in all would recommend to anybody. Very friendly staff and professional workers. They did a great job on my car. They changed the quarter panel on it wich is not noticeable at all. This service attendant was very friendly, and kept in contact with us whenever there was problems with the insurance company to avoid any unnecessary delays. D n J saved us $300 off of the deductible. You can't even tell we were in an accident. I would definitely use their service again if it ever came down to it. They do REALLY GREAT WORK. They will treat you right and stand by their work. After my accident I thought that my car wouldn't look the same. But after taking it to them, it looked like I never had an accident AT ALL. 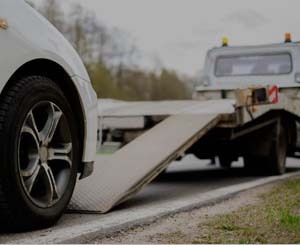 They will try to get your vehicle back to you as quickly as they can so that you will not be without. Did I mention that they stand by their work and they will they won't use your deductible. With DNJ, you are making the right call. They were fast and very helpful and do amazing auto body work , they did an amazing job fixing my bro's truck and made it look good as new, no hassle, no problems, very friendly place and willing to make things fast and easy for you, DNJ is the place to be for all your automobiles needs, i was shocked when i came by today and saw the work done it was like "wheres the damage?" lol paint job was great as well i recommend DNJ to anyone and everyone who needs their vehicles fixed. Amazing paint job and quarter panel repair. The owner and employees were very helpful and extremely professional with their work. The job was completed with great time management. I was provided photo updates on my BMW while they were working. They dealt with the insurance company to help me get my car done right when the insurance didn't want to cover things that they should have. Once again, great service, excellent work preformed, 10/10 would go back again. We are very happy customers of DNJ Auto Body. These people know how to treat you right. They are honest and trustworthy and they know their stuff when it comes to fixing anything you need them to fix. They are willing to make you the happiest customers in the world. That is why we are so happy. You won't go wrong if you take your vehicle or whatever you need to take motorcycle excetera excetera to DNJ Auto Body. Just some excellent info for anyone out there looking for a really honest Dependable auto body shop. Thank you. Did amazing work on my car! Paint job and all new parts look great! Great people to work with, I would definitely recommend them to anyone! DNJ Auto Body – Best friend for you and your car! No one is safe from accidents especially when it comes to car accidents. DNJ Auto Body Shop will become the best friend for your car. We offer flawless auto body repair with high quality materials and in the shortest period. We deal with serious problems and tiniest scratches with the same care. Looking for professional service and low prices? DNJ is the answer to all your problems. For years we provide a wide variety of services to our customers. We constantly develop and improve our services as well as offer new ones to make your experience with us smooth and easy. Bring your car to DNJ and you will be in good hands. Major collision repair is a complex work starting with detailed diagnosis for detection of serious problems and ending with paint and polish. Even minor scratches and damages can ruin the flawless look of your vehicle. We will get back the initial look of your car in a shortest period. 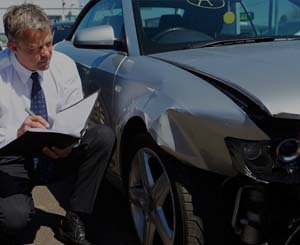 Minor collision repair by DNJ is fast and affordable with guaranteed result. Bumper is most commonly-damaged auto body part during a collision. Don’t worry, our technicians will repair, paint and get back the glow to your bumper. Not a single scratch will be missed. Frame is likely to get damaged and crushed in a collision. The group of professionals are specialized in fixing, repairing and strengthening frame. Proper repair will get back pre-accident condition of your vehicle. To keep your vehicle operate flawlessly you need to get checked the performance of suspension components. We will help you to solve any major and minor problem. With a steering alignment performed by the professionals of DNJ auto body repair your steering wheel will always be under your control and twisted on the right direction. Collision repair customers will get a service of glass replacement if the windshield or windows have been damaged in the accident. DNJ auto body shop performs panel bonding and filling of any complexity. Radiator repair service starts with diagnosis and repair. Our technicians provide fast checkup and repair with high class parts. 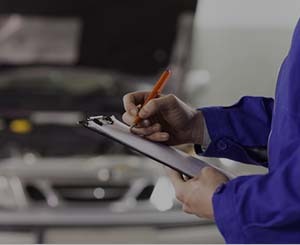 If you care about your car, regular checkups are needed. For its collision repair customers DNJ will provide full diagnosis and repair of starters. Water pump and radiator hoses are extremely important to protect engine from overheating. We are using only top-quality parts to repair. Overheating is one of the most serious problems that should be fixed as soon as possible. There are so many reasons that may cause engine overheating and DNJ definitely knows how to deal with all of them. Paintless dent removal is a perfect option to deal with small dents without damaging the paint. Original paint is preserved without a single scratch. This is a gentle way to repair your car quickly. We offer you several expert detailing services. Moreover, we have got 50% off standard rates for detailing. We are using only high-quality PPG paints. The paint is applied with professional SATA spray guns for smooth and glossy finish. We guarantee durability of our paints and flawless finish. DNJ auto body repair offers the service of recharging air conditioning. We are using Robinair the Cool-Tech 34788 system. The system as well as qualified professionals provide 100% accuracy in work and further maintenance. The system first of all tests leakage, then recovers and recharges. We are experienced in auto insurance claims and have practice to get everything done as quickly as possible. Are you in trouble? Speed dial 916.380.1923 shop and we will get your car repaired. You can reach us by phone or email. We are always ready to answer your questions.